There is nothing like seeing grandma out on the dance floor, grooving the night away with your friends and family! Hiring wedding entertainers that take care of each and every type of guest while sticking to your requests will easily make this a reality. Enter Royal Dukes Band! This dynamic wedding band truly delivers for any event they perform at, and we were thrilled to get a few tips from them on sourcing your wedding’s entertainment. Read on for their incredible insight! What makes a wedding band unique? Live music really sets the tone for your day and elevates your event. A live band gives you a one-of-a-kind, romantic and personal feel for your ceremony. For the reception, it’s like your own private concert and epic dance party with your friends and family! A live band makes those dance floor moments that much more memorable! 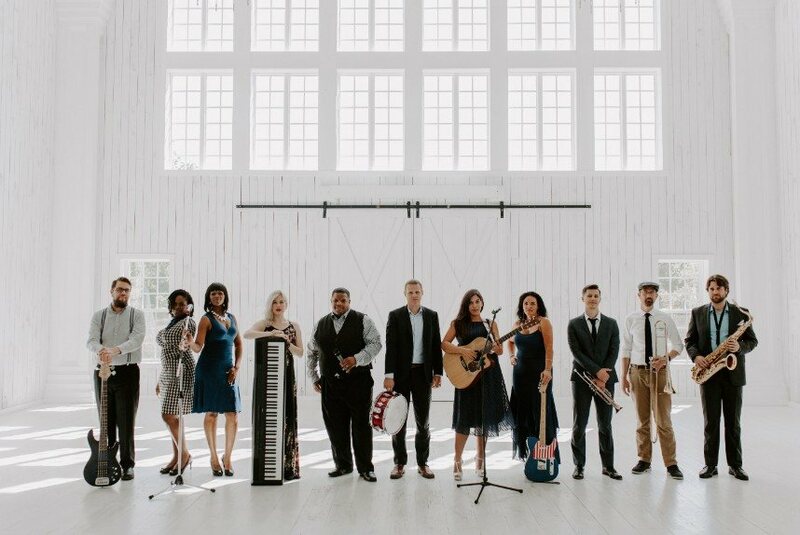 What should couples consider when hiring a band for their wedding? Definitely go see your band live! You can try on your dress and taste-test your food, so why not hear your band perform before booking them? Royal Dukes offers regular, free showcases where you can see us play live! What’s the typical process for creating playlists/set lists with couples? How do you get the party moving to create a fun atmosphere? We know couples worry about pleasing the crowd when it comes to a great playlist. Mixing your favorite classics with Top 40 is a sure way to get everyone grooving, from Grandpa to your six-year-old niece. A great band will know how to transition seamlessly between Motown, rock, pop and your favorite country song without missing a beat. Special thanks to Royal Dukes Band for sharing these tidbits with us today! To get in touch with the band directly, you can message them via their Brides of Houston profile here.